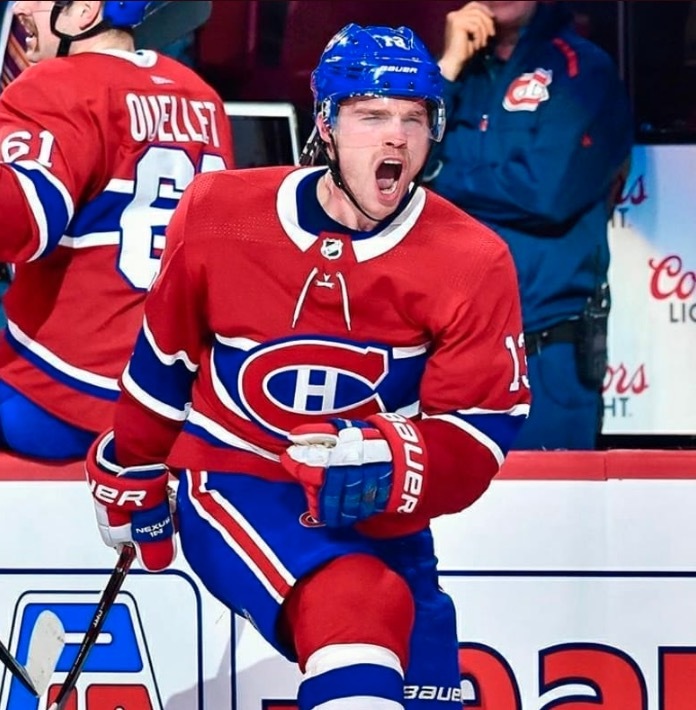 The Montreal Canadiens had a big win thanks to Max Domi, and with the Boston Bruins defeating the Columbus Blue Jackets, things still look bright. Phase One of Operation: Make the Playoffs was a success last night for the Montreal Canadiens. They welcomed a powerful opponent in the Tampa Bay Lightning to the Bell Centre and found themselves down 2-1. One of those goals, unfortunately, came from Max Domi. Weird combination of words to have a Domi goal be unfortunate for the Habs, but it was bad luck that saw the 23-year-old pot one into his own net. Luckily that didn’t keep the Montreal Canadiens down. They continued to skate and push outshooting the Lightning to a massive degree. Rookie goaltender Eddie Pasquale definitely had his work cut out for him, but the Habs finally broke through again after Cedric Paquette scored Tampa’s final goal of the game. It started with Joel Armia scoring his second goal in as many games, and then Artturi Lehkonen gave Montreal their first lead of the night. The Bell Centre was rocking, and luckily the goaltender interference call went their way for his 11th of the season and third since joining Domi and Andrew Shaw. But if you thought the atmosphere was raging before, Domi’s go-ahead goal kicked things off to a whole new level. It was his 28th of the year and a cathartic feeling of redemption to see Domi score then. The Montreal Canadiens shut things down after that keeping the Lightning at bay (ha irony) until the final buzzer. Solid game for the Habs and the first of three they needed to win. What made the night even better was the out of town scoreboard. Boston…thank you.